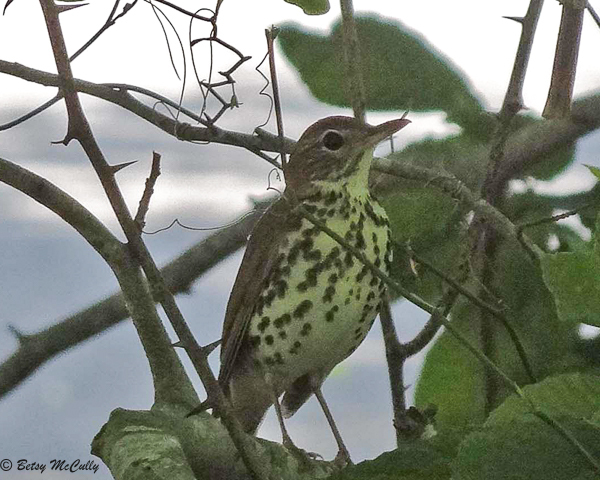 Wood Thrush (Hylocichla mustalena). Forests. Breeder.